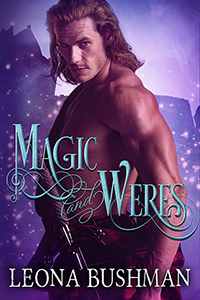 Today I am so excited to be part of the blog tour and cover reveal for MAGIC AND WERES by Leona Bushman, a collection of sultry paranormal / vampire / shapeshifting romances available for pre-order now... and isn't this cover incredible?! Believe me, you'll want to sink your teeth into it. And without furhter ado... here's the lovely Leona! Thank you for having me today! I have a favorite cover artist, whether for myself or on other authors, this artist's artwork has always caused me to smile. Her name is Victoria Miller. I sent her this vague cover art form, saying, well, I have these things, all have magic, all have weres/shapeshifters. And um, the longest story is set in early Scotland, and it's romance, and um, can you do your magic for me? LOL There may have been a lot of eye lash batting and begging. Anyway, even with that, she managed to make me a gorgeous cover to match the feel of the stories in there. From early Scotland, to modern day England, you will find magic and shapeshifters. Love, romance, even a couple of hot ones. An excerpt from Victorian England where Vampires drink werewolf blood to keep their powers of walking in the day and other magical elements, and werewolves live as long as their vampire counterparts. 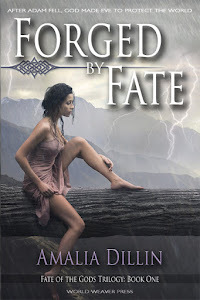 Our hero, Daryn, finds himself cornered by his nemesis, one who wants him back in the coven for dark reasons, and a little tease when he meets our heroine. The title is Daryn's Slayer. He grabbed his gloves and top hat, bent over, and snagged his boots, but left his crimson cravat tied to the post. It would be her talisman. He left one with all the women he slept with. His calling card. Daryn had barely stepped out of the luxurious room when a voice from his right startled him. "Do you always creep out like a thief the morning after? You used to have better manners than that." The seductive voice pierced him with longing and hatred. His whole body quivered in remembered pleasure and torture. He turned to her, almost involuntarily, as need and loathing fought for supremacy. Her body looked stunning encased in the latest fashions. 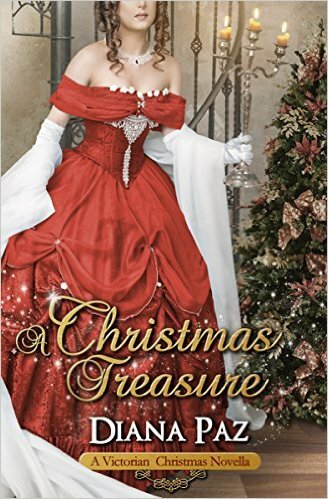 Her dark gold, silk dress had a three-foot trail, ruffled along the bottom, with blood-red trim woven through the ruffles. Lace, with real gold threads worked in a leaf pattern, lined the seam of the ruffles, as well as her jacket and collar. More gold-and-cream lace lined two sides of the red trim and splashed across her thighs. The corset, barely needed for her hourglass figure, only served to emphasize the delicacy of the fabrics used for her jacket and the ruffled lace that trimmed the inside of her collar and flowed in folds from her cleavage to just below her waist. He noted all this in the quick, practiced look he'd perfected over the last few hundred years. "Good morning, Cassandra. So good to see you." The sarcasm dripping from his tones, his first line of defense with her, couldn't possibly have been missed, but she apparently chose to ignore it. "Good morning, Daryn. Ready to come home? Tired of your little rebellion?" He'd had centuries of practice, schooling his face into the impassive lines hiding his real emotions. She enjoyed her tortures too much to allow her to see how deeply she affected him. "Tired, yes. The little minx whose home we're in kept me busy all night," he replied, and walked down the hall. He could have evaporated in mist and gone somewhere else, but, unless he planned on feeding again, which since significantly harder for him in daylight, he could only do it once. And she would follow. He had no intentions of showing her where he lived. "You're less funny than you believe yourself to be, my protégée," she replied, not letting him leave her sight. "Apparently I have wit beyond compare, as you see fit to push yourself in my presence, wanted or no," he replied, taking the stairs two at a time down to the ground floor. It wouldn't be long until he could no longer walk in the full sun, even early dawn, if he didn't find a werewolf soon. Going outside burned him, with the morning light the least problematic. Cassandra would hound him. She hoped to trap him back into the fold with his need. She didn't know where he'd found his werewolf blood all these years, but she'd retaliated ages ago by ordering her coven's guards to kill all of the renegade weres on sight, making it harder for him to find the powerful sustenance. She wanted him back. What he didn't understand was why. The longer he stayed away from her coven, the more convinced he became that there existed something nefarious in her wish to have him in the fold. Otherwise, why would this ruthless leader keep him alive in his disobedience when she had summarily ordered all others killed? He glanced behind him. "What you have is an inflated ego which needs brought back down," she said, grabbing his arm and turning him to face her. Damn it. He hadn't felt or seen her move past him, and yet, there she was, standing between him and the door. That would teach him to look back. "I'm quite sure you're the queen destroyer of egos," he snarled. Yanking his arm back, he struggled to keep his calm. He had to find a way to sit and put his top hat, gloves, and shoes on so he wouldn't be hurt by the early sunlight. And he needed to go soon. The midday sun would be brutal on his skin. He'd be ashes within moments. He strode into the morning room, put on his overcoat, and sat on one of the plush, fabric-covered chairs there. He hated turning his back to her, but he had to hide the fear that her fast movements had induced, as well as the bloodlust her touch inspired. If they shared blood again, he would be bound to her, as addicted as any mortal on opium. He put on his boots as if he had all the time in the world, then stood up. Slowly, he drew on his gloves, wondering why she'd stayed silent. He peered up and surprised a look on her face, one he couldn't readily decipher, before she schooled her features back into her normal haughty demeanor. When she met his gaze, she said, "Now that you are properly dressed, shall we go for a stroll? I feel like a walk on the promenade," she said in sugary tones, taking a dig at his severely limited daylight time. "Oh, let us do that together, Cassandra. Your company is ever a source of joy and cheer for me," he said, staring down at his hands and pushing his gloves on until they were exactly right. He realized he hadn't buttoned up and smiled sardonically up at his former lover. "Oh, but we mustn't. I look a fright. I must go home to my manservant and allow him to put me to rights. Another time, perhaps. Don't call on me, I shall find you. No, really. Don't call on me. You're not invited." With that, he took a chance that the retraction of invite might buy him a few minutes, and apparated outside a milliner's shoppe, into the small alcove. He immediately fell over in a tangle of purple skirts and lace. Feminine gasps of outrage and surprise filled his ears until he finally got untangled. "Where, sir, did you come from?" the pert blonde asked, her hat askew. "And why do you feel the need to push me down?" She tried to straighten her hat, then realized her skirts lay in a chaotic fashion and rapidly stood up. Her parcels were strewn all about her, some tied in pretty ribbons, some hard, some lumpy. He began gathering them up for her, his mouth dry. Her cleavage, which he'd seen as she'd stood up, had brought forth an honest sexual reaction. Not forced, or brought on by bloodlust, but by pure sexual fantasy. When he had her last parcel picked up, he stood and handed them to her. "I'm sorry, miss." He hesitated, wanting her to supply him with a name. "Miss Ernestine Primrose," she replied and held out her gloved hand, after transferring a large packet, the only one that hadn't fallen, to her other hand. He took her fingers in his and brought her hand up for a kiss. After giving it the customary greeting, he turned her hand over, and just above her short glove, he kissed her skin over her life vein. She shivered, and her heart beat faster, its rhythm pounding against his ears like a melodic song. He met her eyes. They were a dark blue, the perfect foil to her blonde hair and fair, but slightly sun-kissed skin. "Please, allow me to walk you home. It is the least I can do after such a blunder. I'm afraid I wasn't watching where I was going and completely fell into you." She had no idea how lucky they both were. Her being in his exact landing spot probably masked his scent from Cassandra. All of a sudden, he grinned. Miss Ernestine Primrose had just found herself a suitor. Daryn and Ernestine have a chemistry that I find exciting. I'm sometimes frustrated with characters. I'm a pantser, and sometimes, the characters are stubborn. These two flowed as if waiting to be written through the annals of time. It's the hottest story in the anthology…well, The Lion, the Witch and the Faerie is also hot as hades. The other two are hot as well. Hmm, let's hope this doesn't scorch anyone! ...Magic and Weres will fully release on February 12th. Don't miss it!